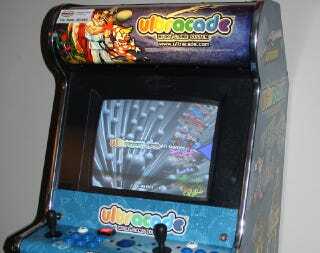 The founder of the Ultracade, a MAME-type arcade cabinet that once was a status item among video game connoisseurs, will spend the next two years in a federal prison for secretly copying and selling video games and code whose rights he had sold to another company. The sentencing of David R. Foley concludes a legal saga spanning more than five years. Foley, 48, founded Ultracade in 2002 but then sold his business to a company called Global VR in 2006. A federal indictment stretching back to the summer of 2009 accused Foley of copying the "game packs" that Ultracade cabinets used—essentially a bundle of classic arcade games—and then selling the counterfeit packs via eBay, still marketed under the Ultracade name. The indictment said Foley copied the games and other trade secrets prior to handing over his business. Foley became Global VR's chief technology officer but then fired him after learning of the fraud. Foley's sentencing also accounts for his guilty plea to a fraud charge with regards to a $3 million loan he secured from a bank, saying he was still employed by Global VR when he had been fired.